Click on ‘Connections’, and then click ‘Connect’. You will automatically join a channel called “Please select another channel”. Enter the channel you want to join by double clicking on the channel name from the list. Click on ‘Bookmarks’, and then click on ‘Add to Bookmarks’. Check that the details are correct, and tick ‘Connect on Startup’ for convenience, and then click ‘Apply’ and/or ‘Ok’. These people are allowed to adjust server settings, may kick and ban users from the server, can create, edit and delete new channels and are able to move people to another channel or give out Techie, CC, IRCOp and ChanOp rights. They have rights across the entire server. These people are allowed to kick and ban users from the server, can create, edit and delete new channels and are able to move people to another channel or give out IRCOp and ChanOp rights. They have rights across the entire server. These people are allowed to kick and ban users from the server, can create, edit and delete new channels and are able to move people to another channel and give ChanOp rights. They have rights across the entire server. The Channel Administrators are Chanops who can also give out ChanOp rights. Like ChanOps, they can kick and ban and edit channels which they have rights in. The ChanOps are basically comparable to ChanOps on IRC. They can kick, ban and edit channels which they have rights in. Ask one of our operators or team members for help. They all have a shield (as above) next to their name on the server. 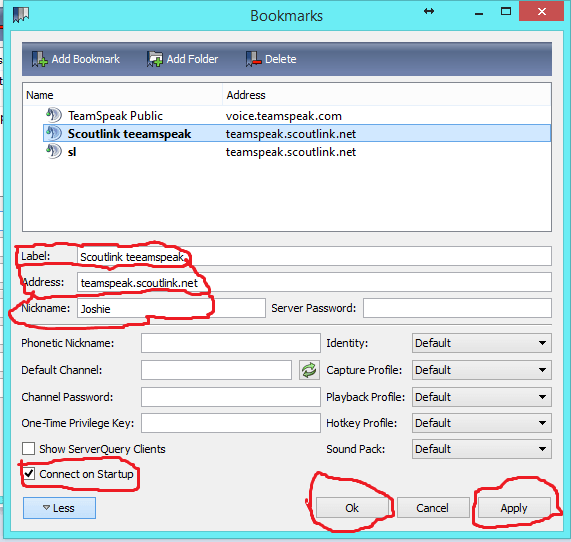 Join the TeamSpeak #help channel. This notifies all operators on the server that you need assistance. Join the IRC #help channel. 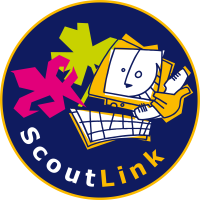 Email help@scoutlink.net directly, or using our contact form.